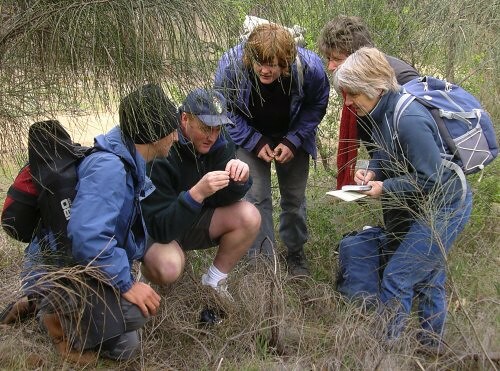 Waverley Park is on a hill-top near Bellerive, an eastern-shore suburb of Hobart, Tasmania. 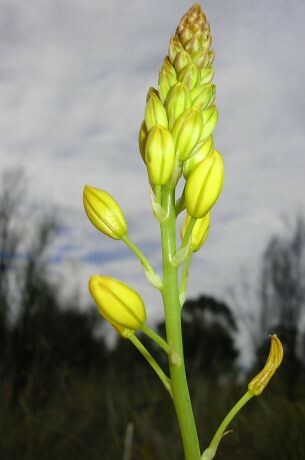 A Bulbine lilly about to flower. 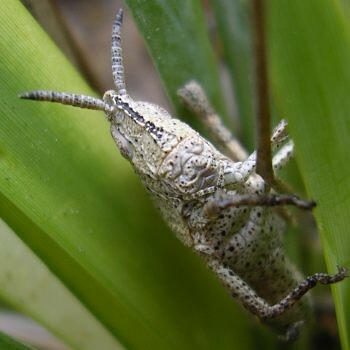 Nymph of Variable Cirphula grasshopper, Cirphula pyrrhocnemis. 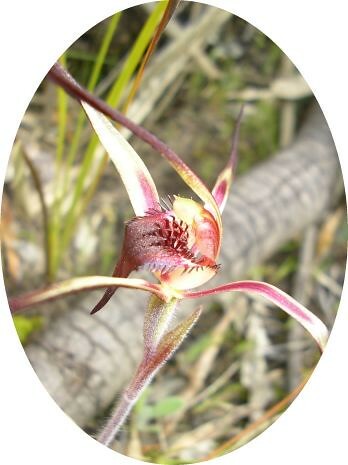 An orb-weaver spider on a Bulbine lilly. 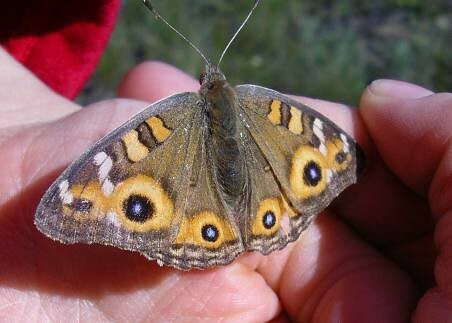 James found this Meadow Argus butterfly Junonia villida. 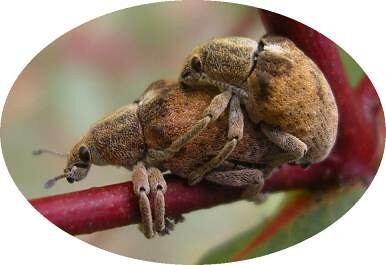 A mating pair of Gonipterus scutellatus weevils in a eucalypt sapling. 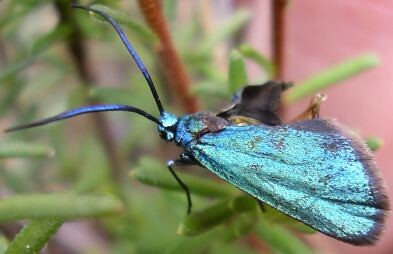 An iridescent Satin green forester moth Pollanisus viridipulverulenta. This individual had a mal-formed right wing. 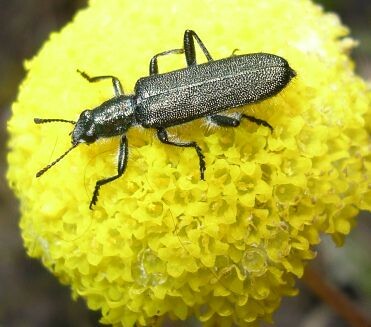 An iridescent beetle feeding on a Billy button, Craspedia glauca. 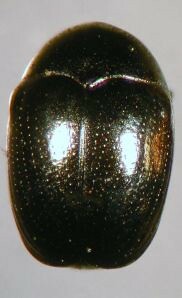 The beetle is an Eleale sp., family Cleridae. 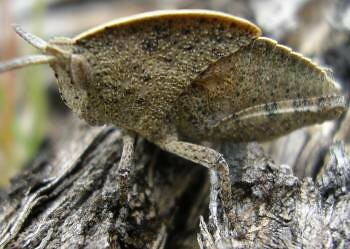 Two views of a Gumleaf hopper nymph. 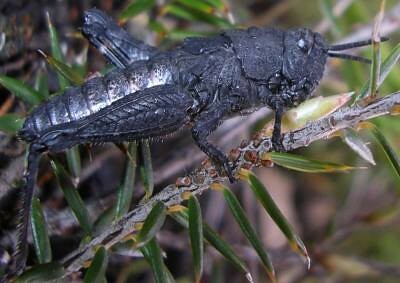 It is a Goniaea australasiae grasshopper. 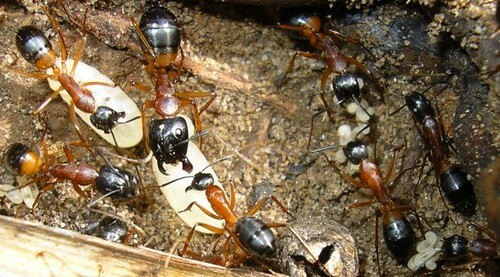 Sugar ants Camponotus consobrinus in their nest under a rock, with larvae and pupae. Note how the soldier in the middle is more heavily built than the workers around it. 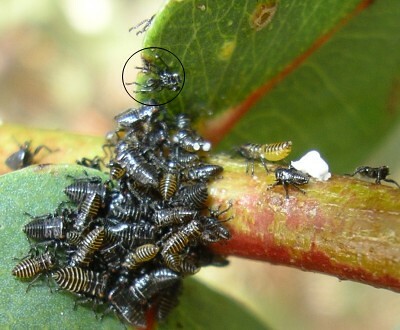 Leafhopper nymphs Eurymeloides bicincta about 3mm long congregating on a eucalypt; except for the animal circled, which is actually a Salticid spider. 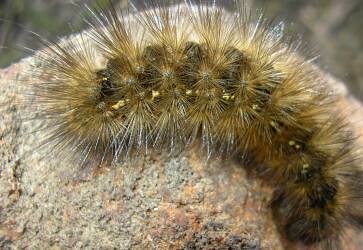 An arctiid moth caterpillar behind some silk web. 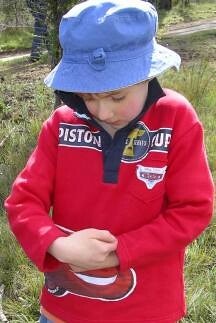 These two chrysomelid beetles 3mm long occurred together on wattle regrowth. 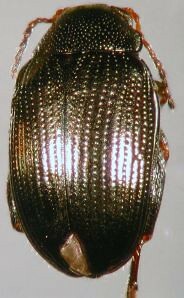 The left one is Atenesus sp. (family Cryptocephalinae). 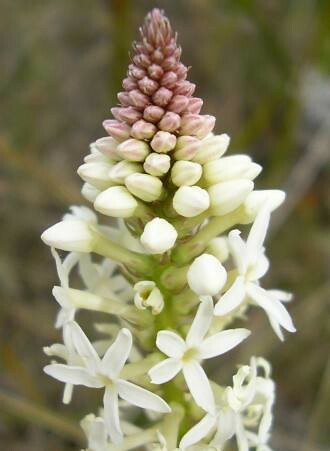 The one on the right jumps and is Chaetocnema TFIC sp. 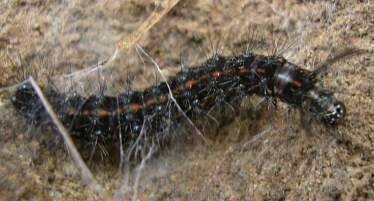 01 (family Galerucinae). Some 'field nats' in among she-oaks (Allocasurina).